We know that every system and application is different. Therefore we can supply a wide range of cables and connectors to optimize the setup. 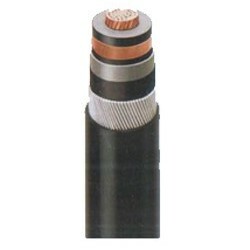 You specify the power and desired length of the cable and we will tell you the best options. Everyone has their own preferences, thefore the standard version of the hiP-V is delivered with simple M6 screw connectors. The connector or your choice can of course be implemented. If you need to use your power supply for several cathodes we can supply the adequate switches for problem free long term use. To get the most of your power supply the use of the adequate components is cruical. hiPV has a long experience in choosing the right components to maximise performance and eliminate failure in the railway and aeronautics sector for decades. We will provide you with the right equipment and can help you design your system to maximise the performance of the power supply.